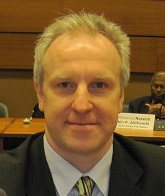 Dr. Piotr Chelminski is an Associate Professor of Marketing at Providence College. He received his Ph.D. degree in marketing from the University of Connecticut in 2003. His research on a variety of international marketing topics has been published in Journal of International Marketing, Journal of Services Marketing, Psychology and Marketing, Journal of East-West Business, and other publications. Dr. Chelminski has also presented his studies at a number of academic conferences in the United States and around the world. His teaching interests include International Marketing, Principles of Marketing, and Marketing Research. Dr. Chelminski's current research interests include cross-cultural consumer behavior, brand heritage, country-of-origin effects, and new payment technologies. Chelminski, P. (2018) Grading Innovation in an International Marketing Course: Promoting Student Collaboration and Individual Accountability . Journal Of Teaching In International Business. (28), 188-192. Alonso Garcia, N. Chelminski, P. González Hernández, E. (2013) The effects of language on attitudes toward advertisements and brands trust in Mexico. Journal Of Current Issues And Research In Advertising. (34), 77-92. Chelminski, P. Coulter, R. (2011) An Examination of Consumer Advocacy and Complaining Behavior in the Context of Service Failure. Journal Of Services Marketing. (25), 361 - 370. Chelminski, P. Coulter, R. (2007) The Effects of Cultural Individualism and Self-Confidence on Propensity to Voice: From Theory to Measurement to Practice. Journal Of International Marketing. (15), 94-118. Chelminski, P. Coulter, R. (2007) On Market Mavens and Consumer Self-Confidence: A Cross-Cultural Study. Psychology & Marketing. (24), 69-91.